In years past, the fate of many a small town was tied to the factory where seemingly all the town’s inhabitants had worked for generations. When the steel mill closed, or the auto plant, or the tire factory, that town changed overnight from a stable, viable place of opportunity to a depressed also-ran. Nowadays, it is often the shuttered big box chain store that can single-handedly imperil a town’s fortunes, as the tax revenue and jobs the store supported disappears, leaving behind a festering symbol of disinvestment. These dark big boxes, invariably championed prior to their construction as the guarantors of a community’s future, now resist re-use and end up decaying for years after their closure. Located in the foothills of the Blue Ridge Mountains, the small towns of Claypool Hill, VA (Pop. 1,719) and Wilkesboro, NC (Pop. 3,159) have struggled in recent decades. Rural in character and located at the western fringes of their states, both towns have suffered the loss of major industrial employers to foreign countries. These reversals were compounded by the later abandonment, in each town, of a big box store that had previously provided badly needed employment, tax revenues and essential retail services to these tiny hamlets. 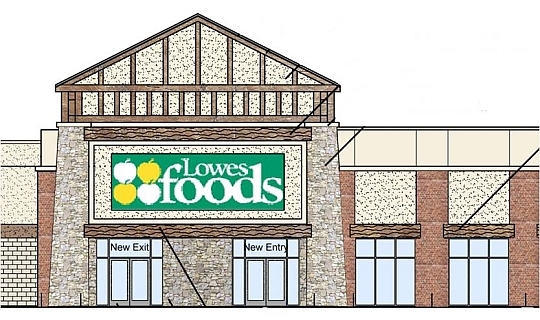 The Claypool Hill Lowe’s Home Improvement and the Wilkesboro Wal-Mart shut their doors years ago; subsequently, town leaders were frustrated time and again as numerous redevelopment efforts fell flat. Finally, the Charlotte, NC-based Keith Corporation stepped into the breach, initially spending over $6 million to acquire the buildings and convert them into badly-needed community retail. The Keith Corporation attracted numerous tenants to the revitalized, formerly single-tenant big boxes, including a grocery store, pet supply and hardware stores, providing badly-needed employment, tax revenues and retail services for their communities. However, two years later the Claypool Hill building is struggling with 55% occupancy, and the Wilkesboro project cannot secure permanent financing. These two structures, both located within “highly-distressed” rural census tracts, are in need of an NMTC subsidy to gain a sustainable footing and realize their full potential. The Keith Corporation’s commitment to returning the closed stores to commerce constituted rare good news for these regions, as is always true of a $6 million investment made in two highly-distressed, rural locations. The 225-plus construction jobs and 150 permanent positions resulting from the investment signaled better times to come, it seemed. Nonetheless, the projects had stalled, unable to secure permanent financing. A $10 million NMTC Qualified Equity Investment was structured and closed by Crescent Growth Capital, generating a meaningful subsidy for the two rural shopping centers that will lower total project debt to sustainable levels and establish a solid foundation for continued operations and future expansion.